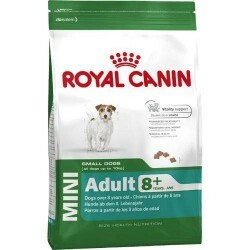 Royal Canin Mini Starter is a feed enriched and formulated for puppies of size-mini (1 to 10 kg), as well as mothers in the last third of gestation. 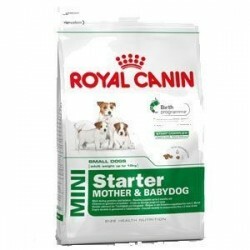 The formula Royal Canin Starter Mini takes into account all the nutritional properties that are needed to meet the needs of the mother and her puppies in the five stages of life cycle: gestation, birth, lactation, weaning and growth. Its patented system Start Complex contains a number of nutrient elements present in breast milk to regulate their bowel movements and activate the intestinal flora. 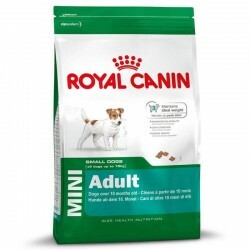 In addition, it is enriched with antioxidants and amino acids that strengthen their defenses, and with calcium and phosphorus for their bones to develop properly. And the vitamins and minerals will help the development of your cerebral cortex.